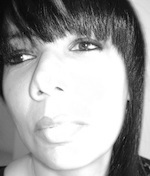 Claudia White is a former advanced training specialist, a family researcher and blogger from Detroit, Michigan. She earned her M. Ed. Instructional Technology and B. A. Mass Communications: Radio, TV and Film degrees from Wayne State University, in Detroit. She has written a number of family research articles and one relating to the development of Southside Chicago, Illinois entitled, “Early Bronzeville Entrepreneurs and Professionals, “and posted on her blog. As a descendent of one of the conductors of the Underground Railroad, she is a contributor to the “Underground Railroad, The Struggle Against Slavery” website; a project developed by the Charles H. Wright Museum of African American History in Detroit, Eastern Michigan University, and other institutions. Claudia’s research focus is on the maternal side of her family and she continues to compile information for the development of a book length manuscript.